FOUR new teams will make their debuts in the National Soccer League’s 2015-2016 season, board chairman Isaac Lupari said while announcing the 12-team competition in Port Moresby yesterday. Erema, PS Huawei, Goroka and Rapatona will dip their feet into the semi-professional competition, boosting the number of clubs to the most the NSL has seen since its inception in 2006. The returning clubs are defending champions Lae City Dwellers, 2016 minor premiers Hekari United, grand finalists Madang, FC Port Moresby, Admiralty, Morobe United and Besta United. Gigira Laitepo is back after sitting out last season. 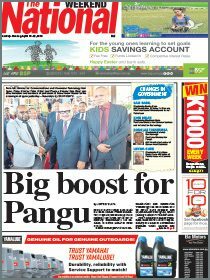 Lupari said out of the 13 franchises that had expressed an interest in the League, the West New Britain Tavur, was not considered because the team’s sponsors have decided to focus their efforts on hosting the 2016 PNG Games next October. With the number of teams accepted being the most in the leagues nine-year history, the conference system will be used splitting into the Northern and Southern divisions. The competition is set to start on November 14 but the NSL is yet to release the draw. The regular season will run 15 weeks (each side plays every team in the conference three times) with the two teams qualifying for the playoff stage. This stage is the national league competition which they will played over six weekends in a home and away format to determine the minor premiers before the finals are played in April. “The board has taken the decision to split the competition in the regular season and tier the playoffs and finals because of several factors the main one being cost,” Lupari said at a press conference at the Telikom head quarters in Waigani. “We want football to grow but at the same time we have to take the cost of on teams. Having the conference will ease the burden on teams especially with travel and accommodation. He said when screening the applications the board took into account sponsorship, home grounds, registration with the Investment Promotion Authority, player and coaching staff registration and accreditation and funds to sustain the teams. He thanked major sponsor Telikom, who had been with the semi-professional competition since its inception in 2006 as well as those foundation franchises which had endured the test of time. “We want teams that are here for the long haul, not be here one season and gone the next. Making these changes is the only way we can bring football to the next level,” he said. The NSL is expecting to use the Bisini Soccer facility to host Southern conference matches while for the Northern conference, Lawaiden Oval (Madang), the Sir Ignatius Stadium (Lae) and a field, possibly the National Sports Institute ground in Goroka are the three venues being looked at. Lupari said the board would not release the amount in prize money on offer for the champions until some sponsors were tied in and funding was confirmed. The 12 teams are expected to pay their nomination fees of K40,000 and the player’s registration fees of K35 to the board on or October 30. 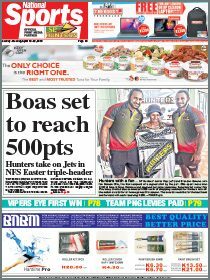 NSL teams: Northern – Admiralty, Goroka, Besta United, Lae City Dwellers, Morobe United, Madang; Southern – Gigira Laitepo, FC Port Moresby, PS Huawei, Hekari, Erema, Rapatona.